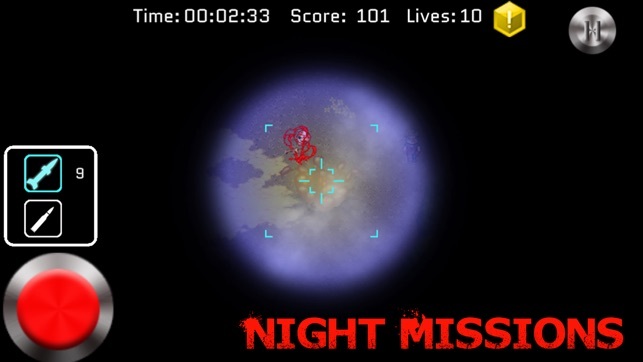 Zombie SkyKiller is one of the most thrilling shooting games you will ever play. 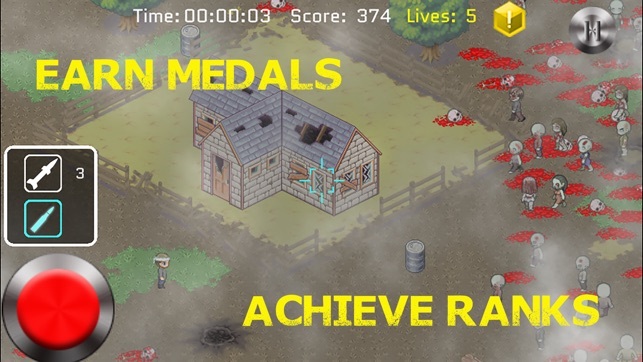 As an aerial gunner tasked with protecting living survivors in the zombie wasteland, you must shoot invading zombies. The civilians are counting on you to protect them until they are rescued. Do you have what it takes to be a zombie SkyKiller? 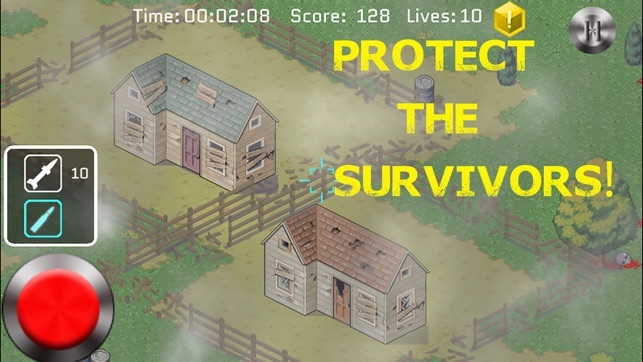 The goal is to keep the zombies away for a set amount of time and avoid shooting survivors. Things can get really challenging and messy. You must develop shooting skill and precision to be the best. Players earn medals as various achievements are accomplished. As your skill, combat experience, and kill count increase, you will rise in the ranks. 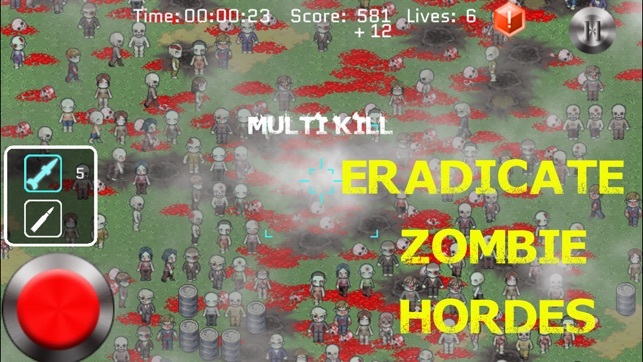 You are armed with a gun and missiles in the fight against the zombies. 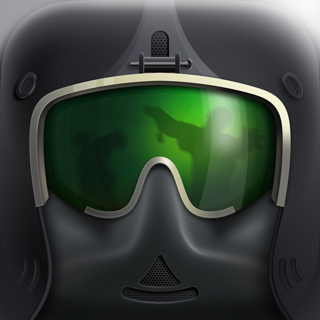 Use them wisely as zombies may outnumber you in the harder missions. More weapons to come in future updates. Totally unique zombie themed shooter. Shooting zombies in an Oregon Trail like setting fills a void in my heart. Thank you for creating this fun game. Cheers!